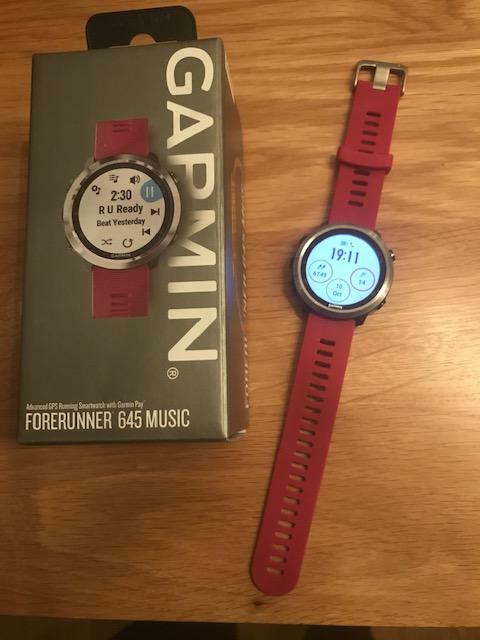 Last week I decided it was time for an upgrade of my running watch – so I got myself a new Garmin Forerunner 645 Music (from Chain Reaction Cycles). In cerise! I spent a bit of time at lunchtime today getting used to my new watch, and earlier in the morning I used it for a Strength session. I just need to figure out how to get music and my workouts onto it and then take it from there.